What is the ultimate movie-going experience? The ultimate big screen blow-out? Think again. 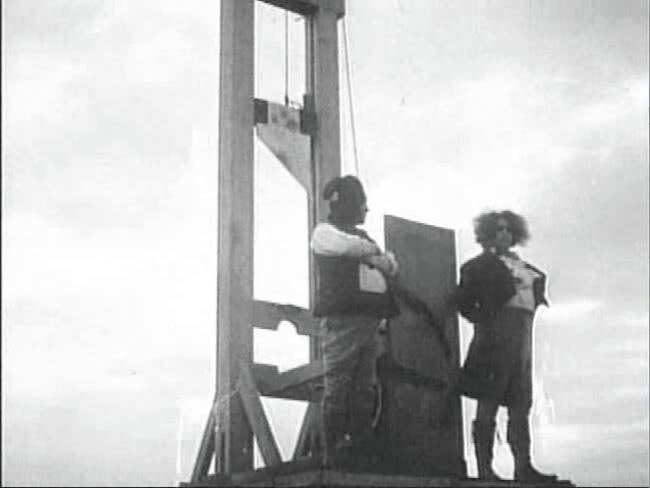 Think a silent film, released in 1927. 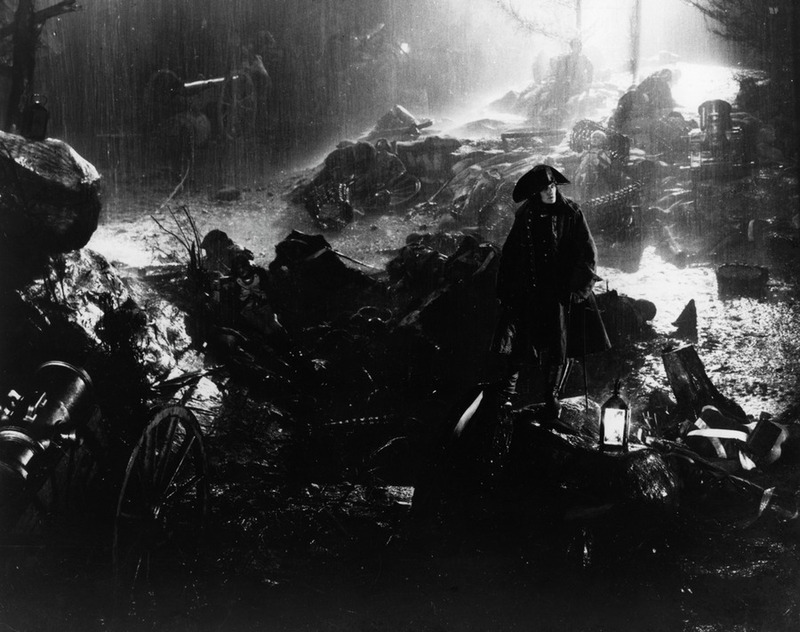 A film that was almost lost to history, if it were not for the obsessive efforts of a young British film-maker and historian, Kevin Brownlow. 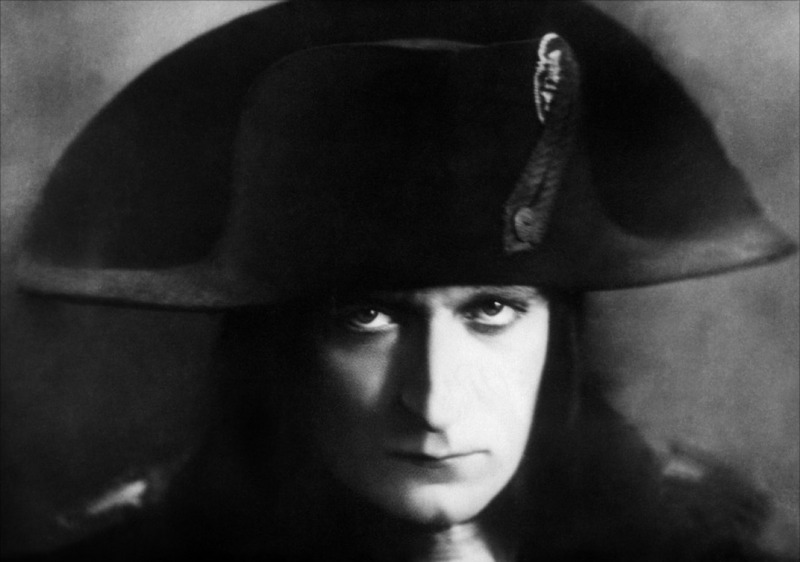 Today, on Bastille Day, we celebrate that masterpiece of French and world cinema: Napoleon, vu par Abel Gance. I’ve got long history with this film. I was present at the now-legendary first screenings of Brownlow’s restoration at London’s Empire Theater in Leicester Square. 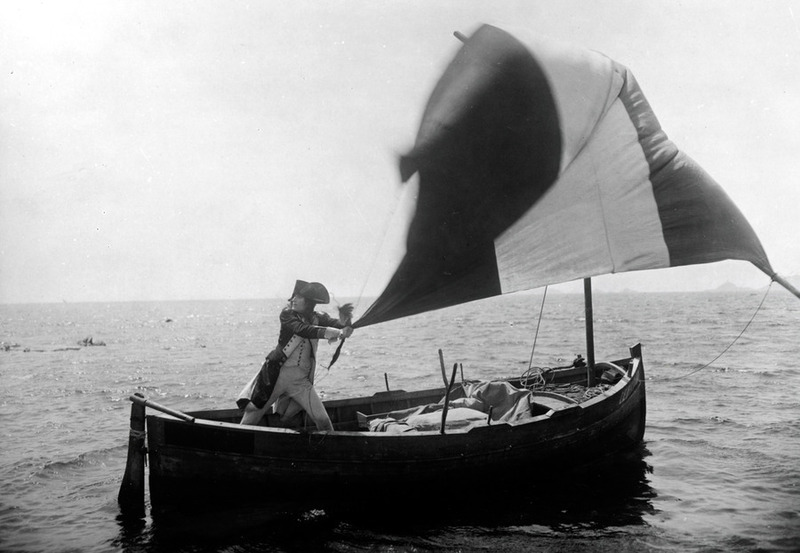 That experience led to a friendship with Kevin, his producer David Gill, and composer Carl Davis, and a series of articles about their ground-breaking restorations of silent movies. Then, in March 2012, Kevin’s definitive version of the film arrived for the first time in America, complete with Carl Davis’s superlative score. I dragged friends, my daughter and her mother (an ancestor of hers, a mistress of Napoleon, appears as a character in the film) to the screenings. They could not believe their eyes or ears. The following is the review I wrote of the occasion for the Financial Times, supplemented by extra pictures. For those of you who are interested, a screening is taking place in London this Fall. Do not hesitate to do whatever it takes to be there. 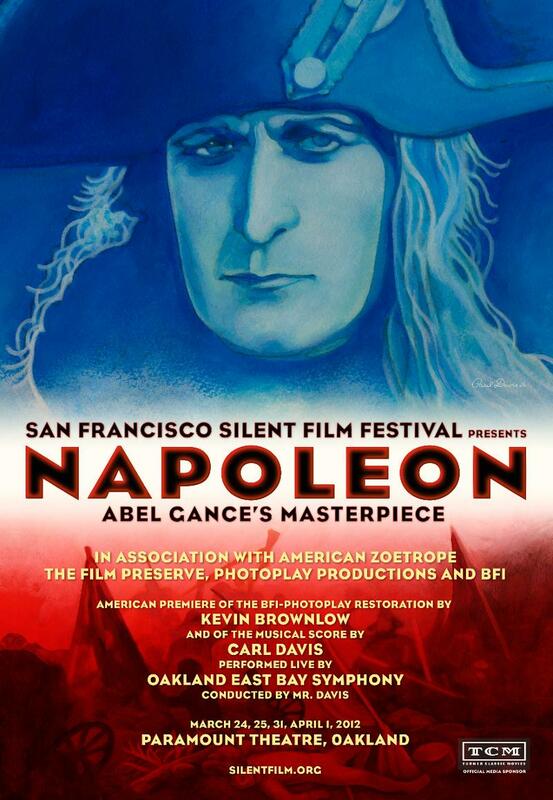 It has taken 85 years, but America is finally seeing one of the cinematic wonders of the world in all its glory, as the enterprising San Francisco Silent Film Festival presents screenings of Abel Gance’s five-and-a-half-hour 1927 silent epic Napoleon. 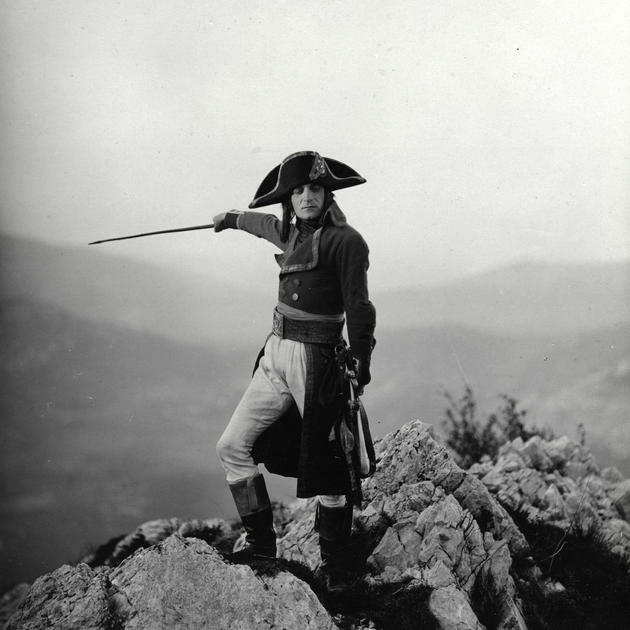 French director Gance originally intended to make six films covering Napoleon’s entire life, but blew his budget on Part One, which takes us from Napoleon’s boyhood to his campaign to liberate Italy. 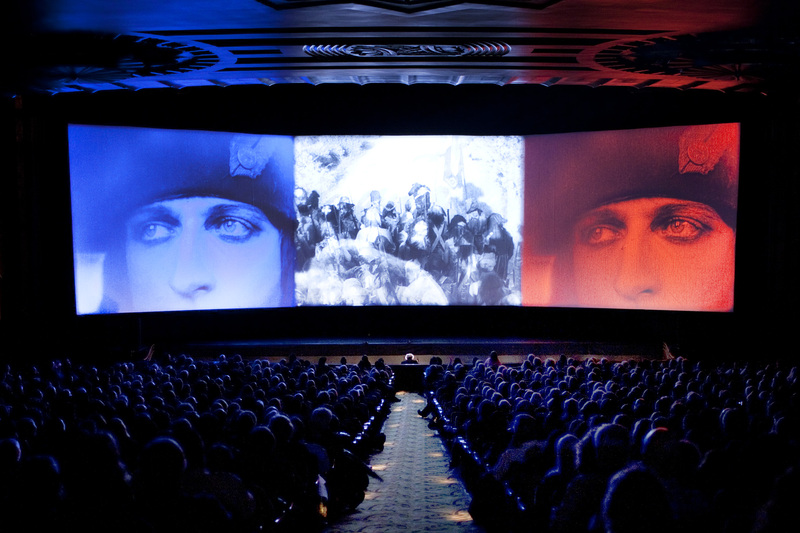 Its first audience didn’t even see all of that: when Napoleon premiered at the Paris Opera, the film had already been severely shortened by nervous producers. In the succeeding decades, the film was scattered across archives, private collections and flea markets around the world. 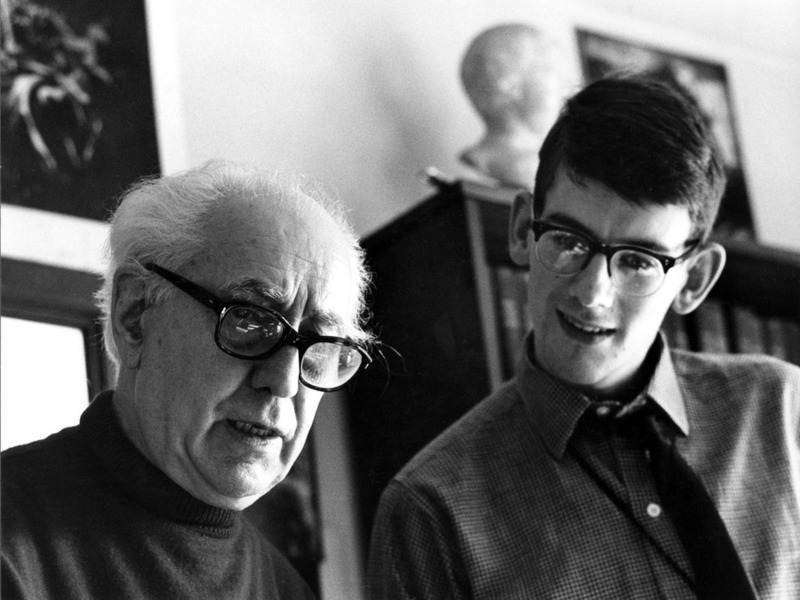 By 1954, when 15-year-old Kevin Brownlow discovered a 9.5mm home-movie version of excerpts, Gance and his film barely made the footnotes in movie history. 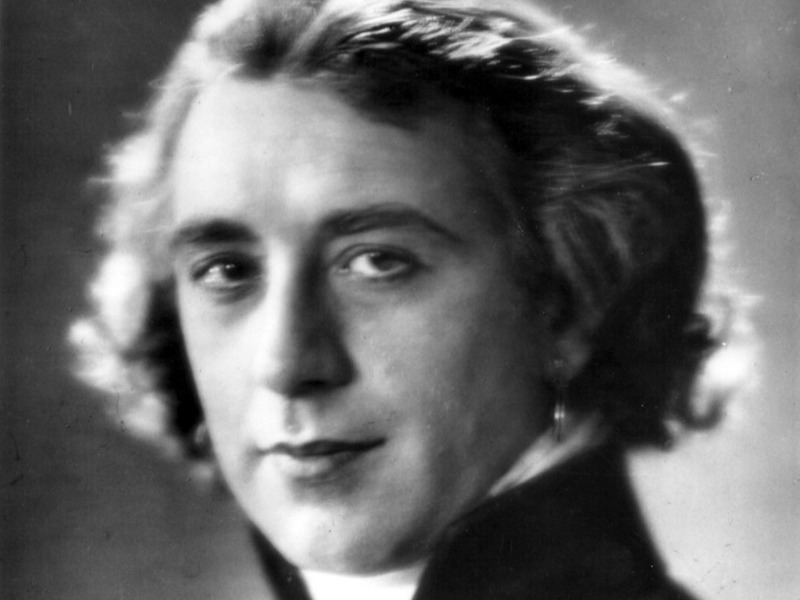 Gance saw film as an immersive medium of poetry and passion. 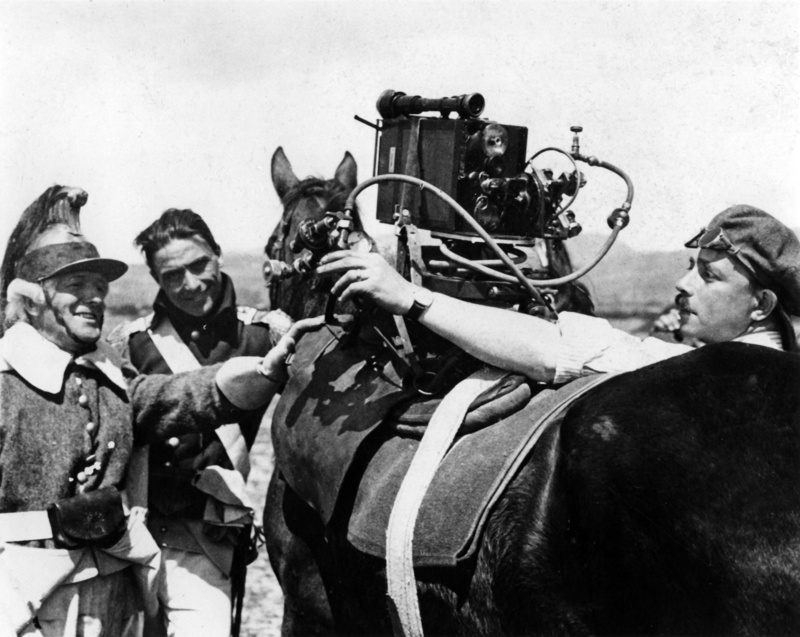 To achieve his aims, cameras were thrown on to galloping horses, mounted on cables and sleds, and swung from pendulums. 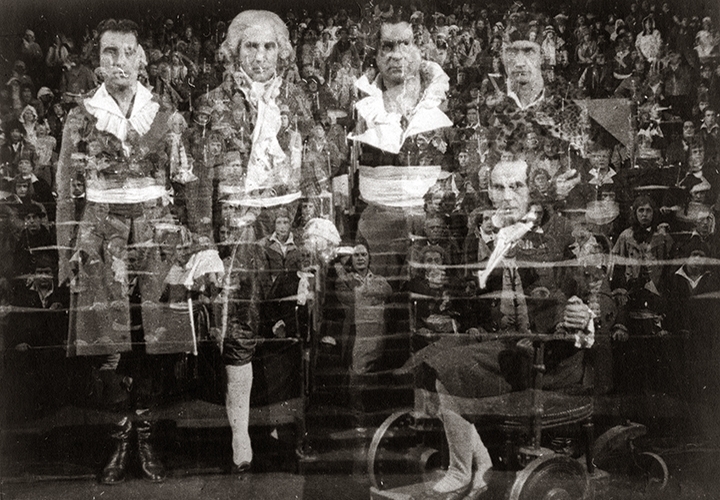 He used split screens, multi-layered dissolves and revolutionary editing techniques to challenge every convention of cinematic storytelling. 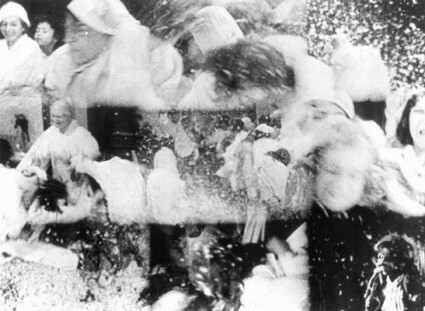 In the finale, when the frame is no longer big enough to accommodate Gance’s vision, the film explodes on to three screens. He even shot test footage in colour and 3D. 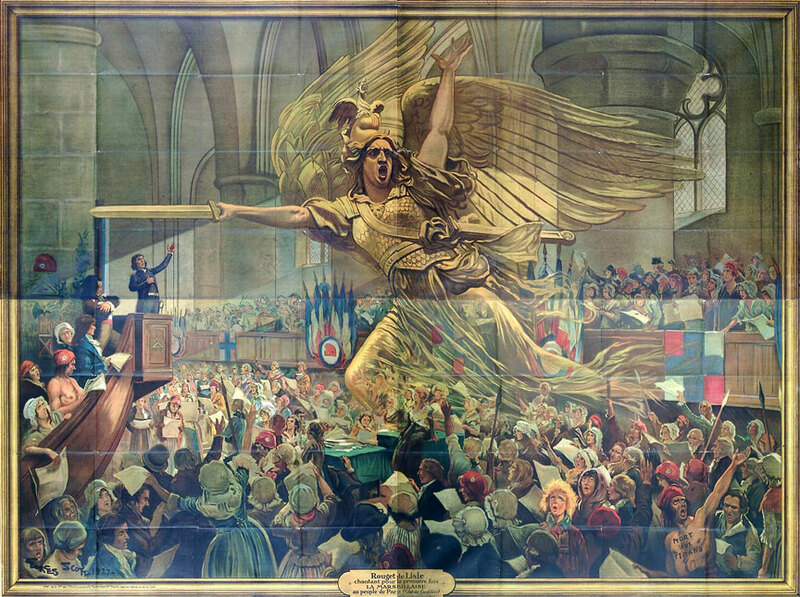 Rarely has the avant garde been given such heady rein in a mainstream narrative. 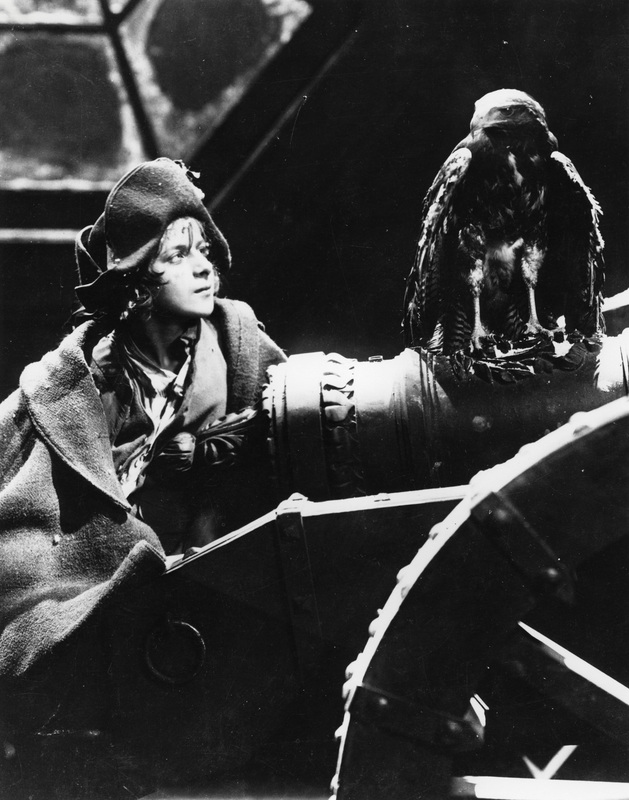 Brownlow’s efforts to reconstitute the film turned into a full-blown restoration with the support of the British Film Institute in London. In 1980, British TV company Thames Television funded a theatrical presentation, commissioning an orchestral score from composer Carl Davis. 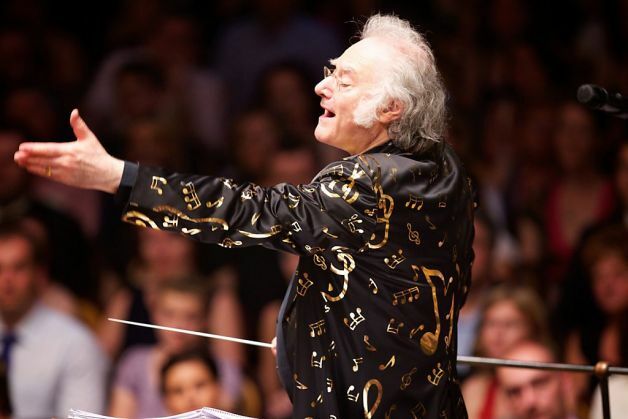 Davis turned to the classical music of the period – “If the whole film is a biography, a portrait of Napoleon, it could also be a study in the music of Napoleon’s time – Beethoven, Mozart, Haydn, Cherubini, Gluck,” he said – as well as popular songs. The result was a score that perfectly matched the film’s tone and energy; such was the combined impact that those early screenings passed into film-buff legend. 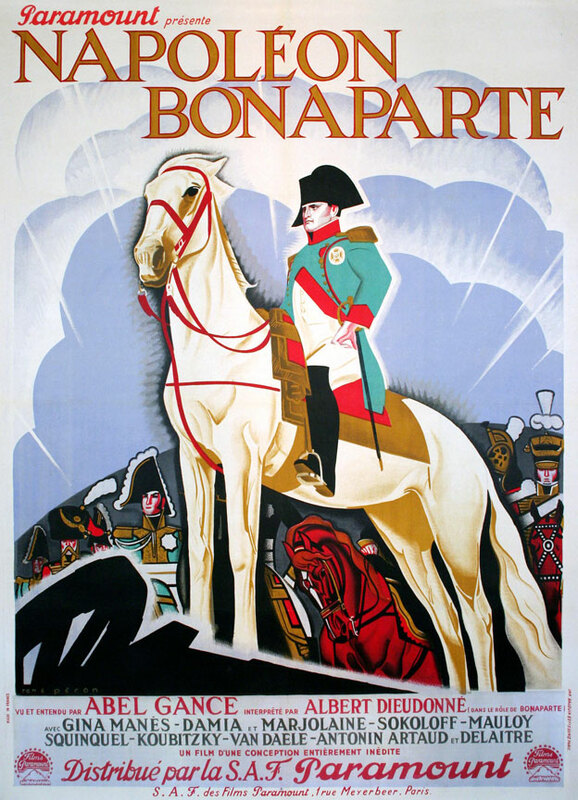 It was always hoped that this version of Napoleon would be shown in the US, but the rights there were controlled by director Francis Coppola, who favoured his own, shorter version, with a score by his father Carmine. It enjoyed great success, but was a pale shadow of the British production. Over the years, Brownlow uncovered more footage and better versions of the material he already had. In 2000, the BFI and Photoplay Productions unveiled a dye-bath toned and tinted print, incorporating all the new material. Fast-forward to 2010. In a twist right out of the movies, Brownlow found himself in Los Angeles receiving an honorary Oscar for his work as a film historian. 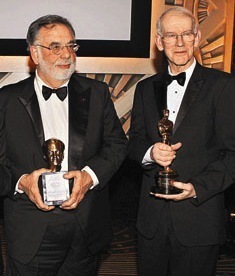 Next to him sat another honoree – Francis Coppola. Whatever transpired in that meeting, the result was that all parties came together to enable the current Oakland screenings. 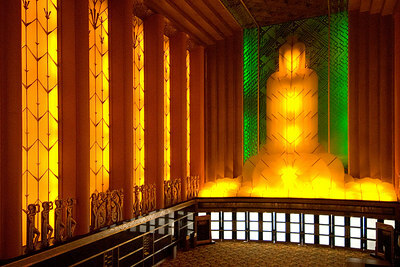 All concerned have done Napoleon more than proud, not least in their choice of venue: the Paramount Theatre’s art deco splendour is a worthy setting for the film’s epic scale. As for the film itself, the many visual refinements of the current restoration bring an extra cohesion to its narrative flow. The exquisitely nuanced photography registers more clearly, along with the meticulous crafting of period detail, while the tinting, especially in inter-cut scenes of different coloration, adds another level of emotional density. One sinks more deeply into the film. 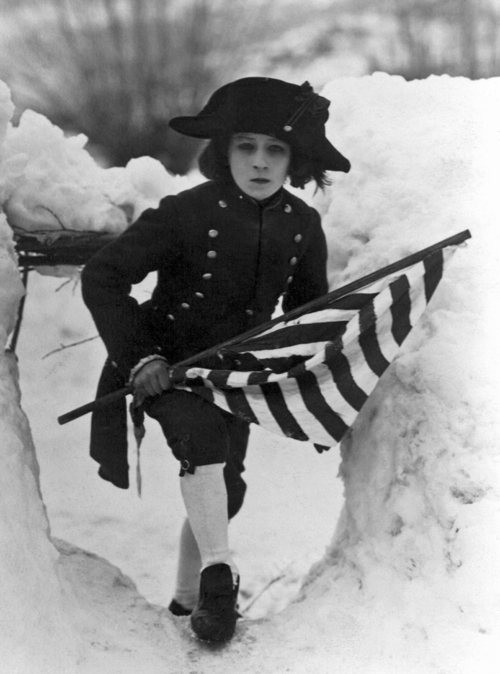 But maybe the greatest gift of this Napoleon is the opportunity for American audiences at last to hear music that is fully the equal of the powerful images it accompanies. Carl Davis conducts the Oakland East Bay Symphony in a spirited account of his stamina-challenging score, which, like Brownlow’s restoration, has grown over the years. 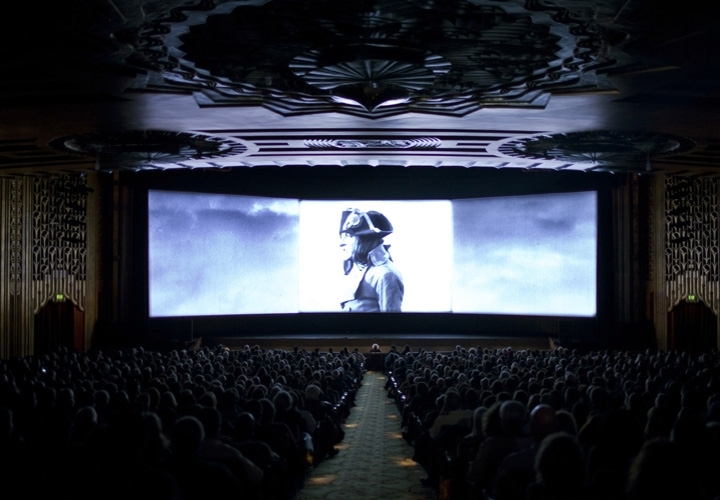 With the unveiling of the film’s final triptych, the Paramount’s 85-foot proscenium span ensured that even those who had seen the effect before gasped in astonishment. It may have taken 85 years to get the film restored and back on the screen, but what’s a few decades when it comes to cinematic immortality? You can read more about Kevin Brownlow’s unique career as a filmmaker and historian in my interview with renowned director, Sir Alan Parker, here.